Hurricanes Irma and Michael caused catastrophic damage from wind and storm surge throughout Florida and the southeastern U.S. during 2017 and 2018, respectively. Many communities in the panhandle of Florida are still recovering from the effects of Hurricane Michael. As the 2019 hurricane season approaches, it is important to prepare for potential storms that could impact communities of Florida. 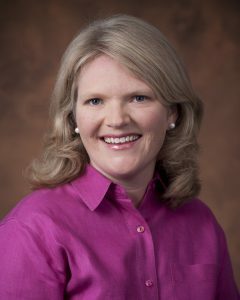 On May 14 from 2:00 p.m. to 3:00 p.m. we invite you to join us for the May 2019 SCCAHS webinar as Dr. Angie Lindsey shares best management practices for individuals and communities in preparing for the upcoming hurricane season. Dr. Lindsey worked closely with UF/IFAS Extension faculty following hurricanes Irma and Michael and will share valuable lessons learned through a case study approach. She will share helpful resources, communication practices, and discuss tools that can increase resilience when coping with the impacts of hurricanes.